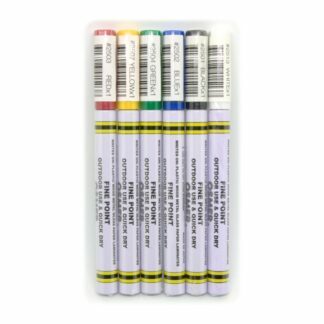 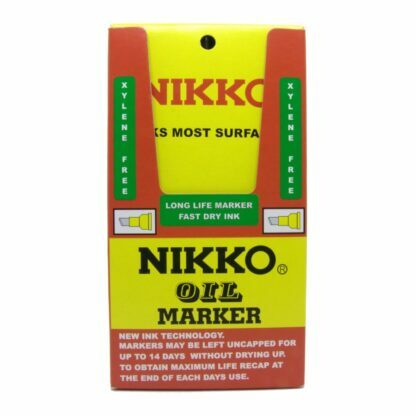 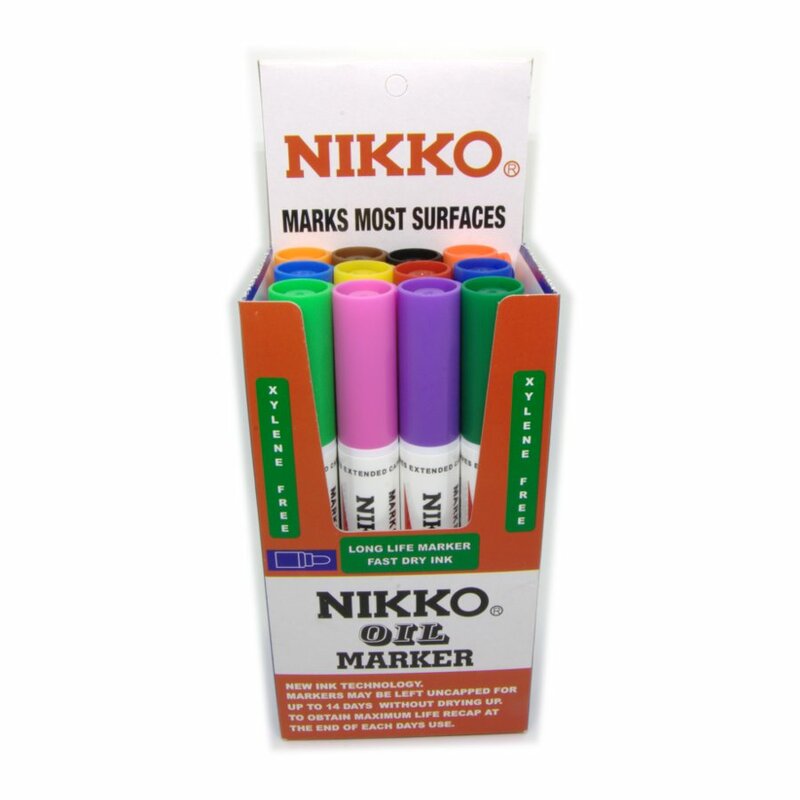 The original “Nikko” Oil Markers are still the best permanent oil markers on the market, with new ink technology that the ink will not dry out if uncapped for up to 7 days. 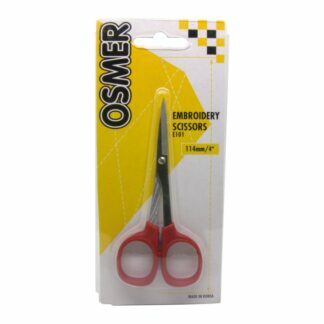 The permanent markers are quick drying with waterproof ink and have a hard wearing acrylic fiber tip. 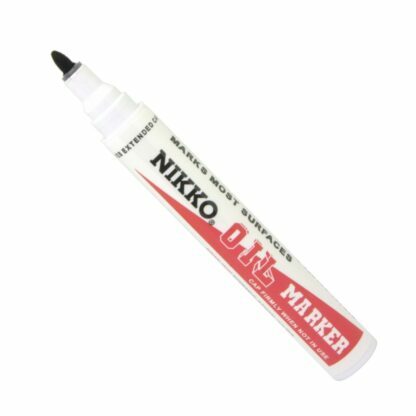 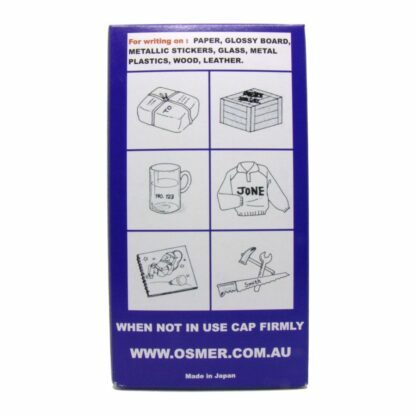 You can use these permanent markers on most surfaces such as glossy boards, plastics, metal and glass as they do not smudge. 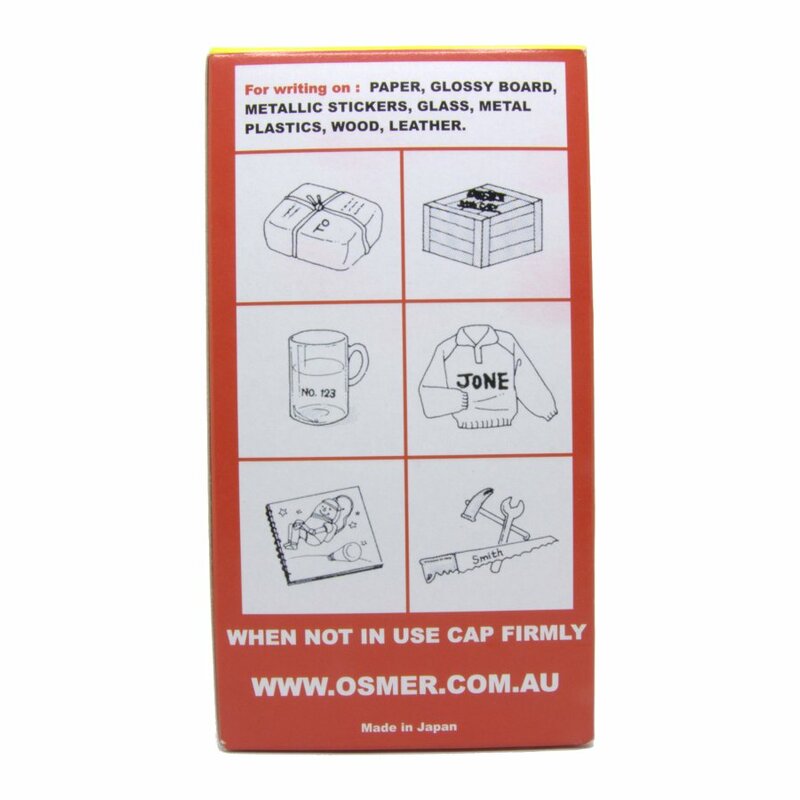 They do not contain the solvent “xylene” which can cause some harmful health effects. 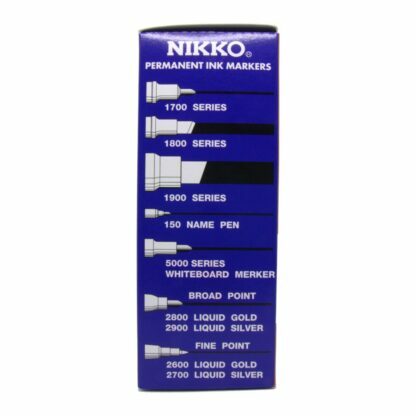 BULLET TIP hard wearing acrylic fiber tip, for writing in smaller places. Draws a line 1mm width. CHISEL TIP hard wearing acrylic fiber tip, allows you to write in three thicknesses from 1mm – 6mm line widths. Black and assorted colours in stock. 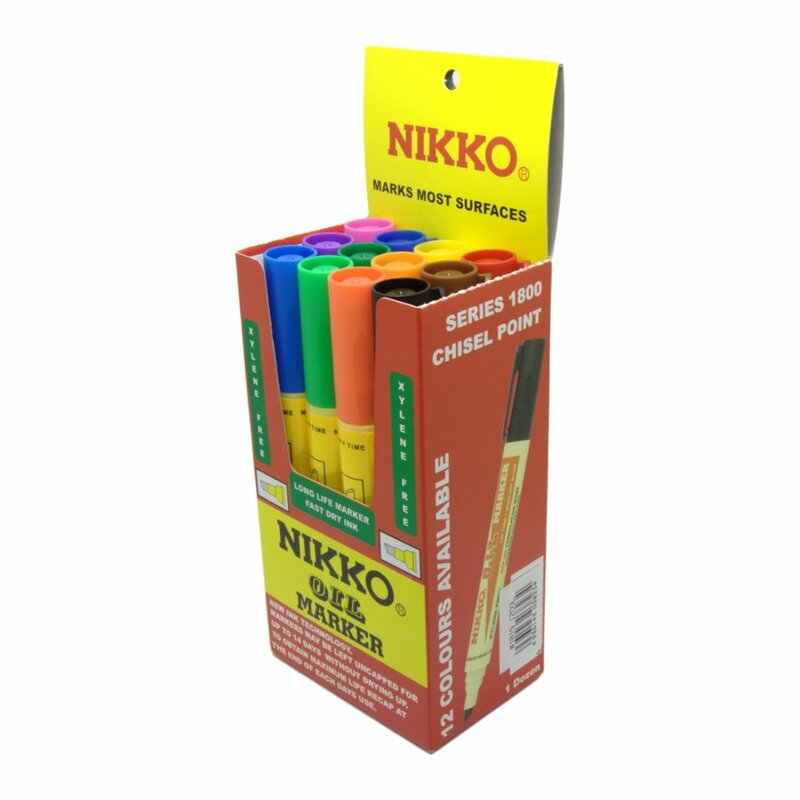 Assorted colours are only available in boxes of 12. 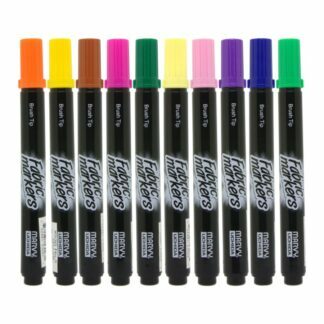 Individual colours can be ordered as required. Extended cap off time – ink will not dry out if left uncapped for up to seven days. 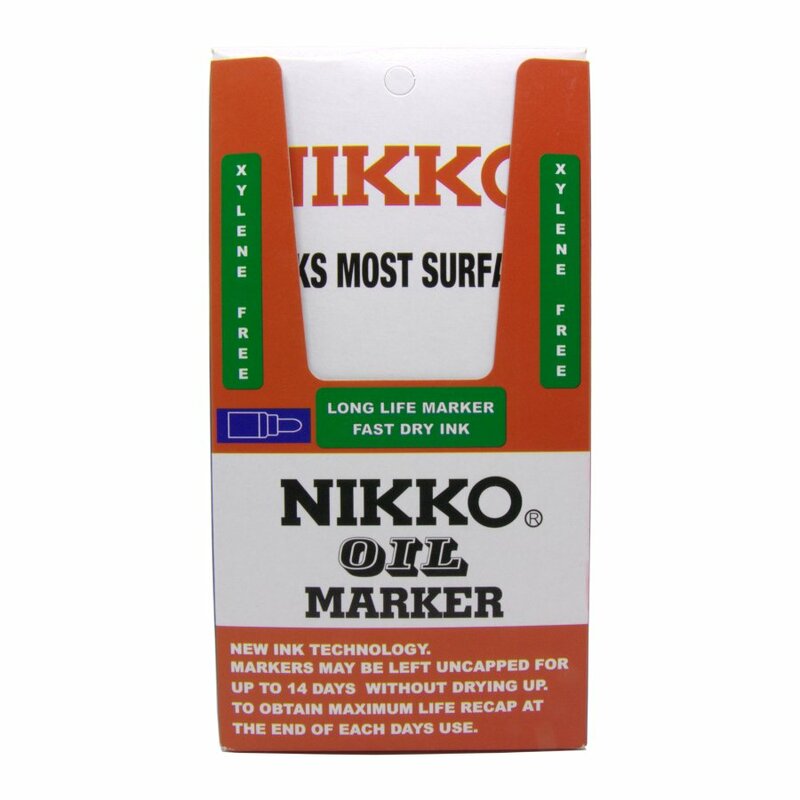 Fast drying water proof ink. Marks on most surfaces including glass, plastic, metal, wood, paper. 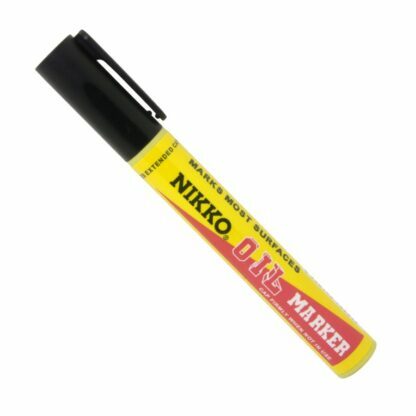 Recap pen firmly after use for longer life. 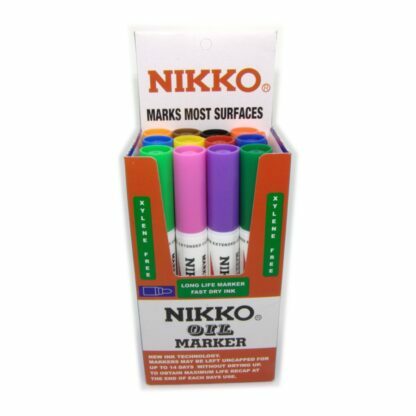 Please note: These oil markers are permanent ink and can’t be removed from many porous surfaces such as vinyl and carpet.